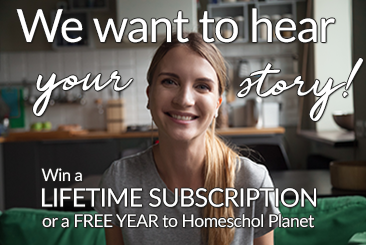 We want to hear how Homeschool Planet works for your family! Over the years we have heard from die-hard “Planeteers” who attest that Homeschool Planet has changed their lives. We have over 500 customer testimonials and 125 blogger reviews raving about our homeschool life planning software. 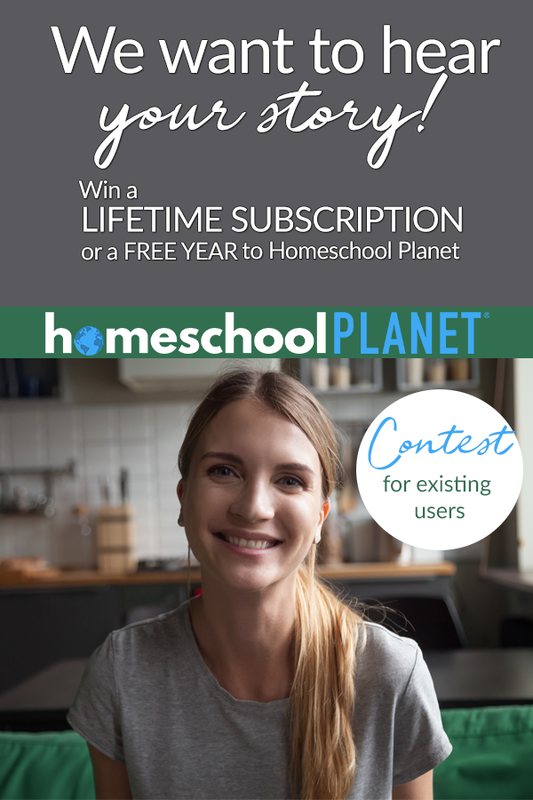 Would you like to win a LIFETIME SUBSCRIPTION to Homeschool Planet or even a FREE YEAR? Keep reading! We are not looking for perfection, we want authenticity. We want you to record your video testimonial telling other homeschool moms how much you love Homeschool Planet. Have you already submitted a written testimonial? No problem! You can still make a video letting others know what you like about Homeschool Planet and enter it for a chance to win. You can submit your video throughout the month of February. We will choose 4 winners. This contest ends on 2/28/19. You don’t have to be scripted (we would rather you be authentic! ), no need to get your hair done, or lock yourself in a closet (but you may want to). We are looking for videos that will appeal to moms just like you. Have fun! P.S. We are releasing some amazing new lesson plans this month.Our lesson plan marketplace continues to be a magnet for families who want to try us out. Cathy Duffy has raved about the features. Have you checked them out for yourself? This contest is for existing Homechool Planet subscribers, AKA “Planeteers.” We are seeking quality video testimonials from real moms like you who love Homeschool Planet. Here’s what you need to do to enter to win. Talk about how many children you homeschool, how long you have been homeschooling, etc. If other planners have failed you but Homeschool Planet works, that’s good to mention. Please no bashing of other programs though. Mention your favorite features of Homeschool Planet and how long you have been a user. If Homeschool Planet has benefited you in other ways of life (appointments, scheduling, grocery lists, etc.) be sure to tell us about it. If you feel you cannot live without Homeschool Planet, let us know! Please make this your own. The list above are merely suggestions, we really want you to be authentic and share your heart with us. After your video is complete, you can submit it here. Please be sure to read through the submission guidelines found on the form and contact us if you have any questions. Contest ends on 2/28/19. The winning entries will be announced on social media and this blog post no later than 3/31/19 as well as contacted via email. Void where prohibited by law.